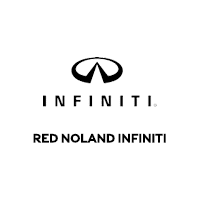 I was referred to Red Noland INFINITI by USAA to purchase a QX60. They were very professional, responsive, and competitive. I would highly recommend this dealer to anyone (especially active duty and veterans) seeking to purchase an INFINITI vehicle. They are one of the good ones! Jimmie Abeyta did a fantastic job, assisting me in looking at multiple vehicles while I made up my mind. I ultimately chose the ?18 Q50, which I love, and had a great buying experience with John Zumbo (sales manager) and Jon Noll in finance assisting Jimmie on the sale. The facilities are clean and pleasant, the staff is professional, and at least some credit goes to Chuck and Tess in service, who have consistently taken excellent care of my previous (now 200k) INFINITI and set the expectation for my experience with the Red Noland team. Very professional and thorough, and I highly recommend them. I was sent to a place that can fix my tire because INFINITI said they can't. A very friendly, highly professional staff. Red Nolan Infinity has been servicing my G-37 since the beginning and has NEVER let me down. Their customer service is CONSISTENTLY excellent, their facilities are very comfortable, and their rates are reasonable. Chuck in customer service is the best customer service rep I've ever dealt with in ANY industry. VERY NICE dealership. Luxury is the name of the game here. Sales person Stephanie is excellent and highly recommended if you want no pressure sales with help in decision making. Super professional sales people in there. You would not believe you're actually in a car dealership. They treated me with the utmost respect and never give a hint that they were a used car sales team. I will be buying a car from them very soon. Absolute best car dealership in the springs. They treat your amazingly and are very approachable and apt 0 pressure with every decision. Was by far the best car buying experience I've had. Jimmy was such a pleasure to work with, 10/10 service. Great folks! 100% Customer enthusiastic...team is truly there to make a car buying experience great! John Zumbo is amazing. Staff members here are so helpful and friendly!